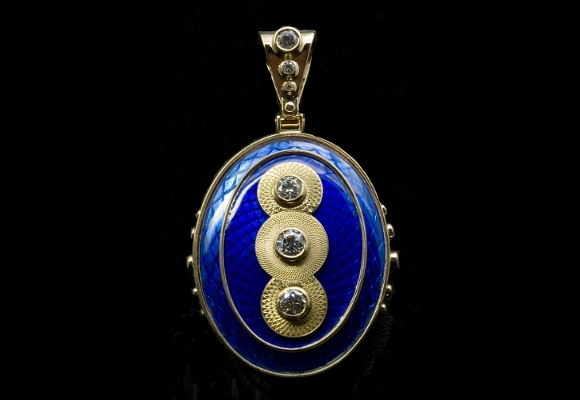 Stewart Jones' jewelry is hand-created using the time-proven techniques employed by Master Jewelers through the ages. 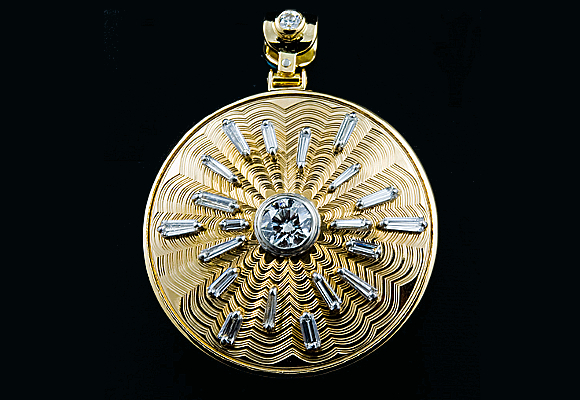 Combining ancient metallurgy techniques and elements of modern architectural design, Stewart Jones earned worldwide recognition in 1978 with his innovation in jewelry as a first place winner for his ring design in the DeBeers Diamonds International Awards presented in Paris, France. In 1980, he won Honorable Mention for his belt buckle design in the DeBeers Diamonds Today Awards USA. And in 1987, the Gold Information Center,New York presented him with a Certificate of Outstanding Design for a multi-layered pin design. Stewart Jones began his career as an architecture student at the University of Oregon in Eugene, switching to the metals department after five years. He brought his understanding of design and functionality to the process of working with precious metals to create jewelry that was both beautiful and wearable. Jewelry researcher and valuator, Leanne Parks of Atlanta, Georgia, states the following concerning the work of design jeweler Stewart Jones: “With a combination of modern and authentic period hand-held tools collected over a lifetime, Stewart Jonesfervently preserves near-forgotten techniques of the great Master Jewelers by hand-fabricating jewelry in precious metals as was traditional at the early, great jewelry Houses of Frederec Boucheron, Louis Francois Cartier, and Charles Lewis Tiffany. 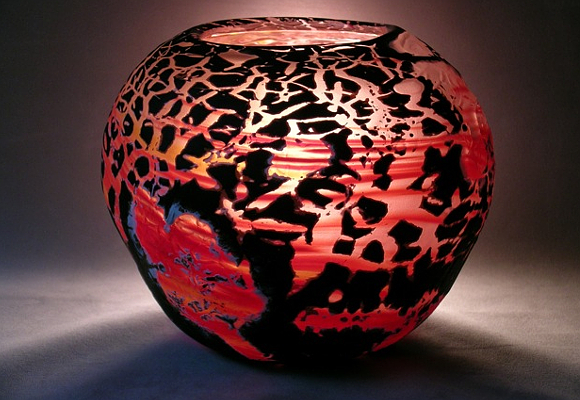 After owning his own shop in Portland, Oregon, then expanding into a jewelry and art gallery in Lake Oswego, he relocated with his wife to the small mountain town of Joseph (pop.1050) in 1999. The Culture Trip website recently designated Joseph one of The 10 Most Beautiful Towns in Oregon, and Stewart Jones one of The 8 Most Notable Artists. Stewart Jones Designs, 2 South Main Street, Joseph, is open to the public Thursday through Saturday, 10 – 5, year round. Stewart Jones’ studio is open for tours, and he is available for demonstrations on the Swiss rose engine when requested. 147 queries in 0,332 seconds.